How does the Jitsi softphone work with IPv6? And what role could DNSSEC play with VoIP? 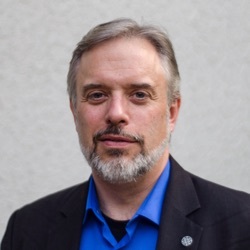 At IETF86 earlier this month, I sat down with Emil Ivov, project leader of the Jitsi Project to talk about a wide range of topics including how Jitsi got started and why it does so much with IPv6 (interesting reason! ), what they are looking to do with Jitsi now, the role of DNSSEC and why they added that support to Jitsi... and much, much more... I quite enjoyed talking to Emil and the Jitsi project is certainly one that I will continue to watch - and use! With yesterday's World IPv6 Launch bringing about the permanent enablement of IPv6 access on thousands of websites around the world (including this one), I recorded a video for the Internet Society's stream of videos about why I see IPv6 as critical to preserve the "open" nature of the Internet. As I say in the video (below), my big fear is that IPv4 address exhaustion will create a situation where Internet Service Providers (ISPs) will use what is called "carrier-grade NAT (CGN)" or "large-scale NAT (LSN)" to put all their subscribers behind a single public IPv4 address. The ISPs then become the gatekeepers. They can determine what you will view - or what you will pay to view certain types of content. They could also potentially restrict customer's access to the next great new service... the next Twitter or Facebook, for instance... until that service pays the ISP for access to customers. It can completely flip the Internet around from one that thrives on "permission-less innovation" where anyone can create any service and make it available to all... to an Internet that is "permission-based" with gatekeepers controlling access at key points. The migration to IPv6 does not, of course, remove the threat that the Internet very well could move toward a permission-based network... but the move to IPv6 removes IPv4 address exhaustion as an excuse to implement walled gardens. To me, deploying IPv6 is a critical step to keeping the Internet open to innovation! To learn more about IPv6 and how you can get started, check out the resources we are listing at the Internet Society Deploy360 Programme. As I noted over on the Deploy360 blog today, I'll be down at the massive International Consumer Electronics Show (CES) in Las Vegas this week. I'm traveling on Wednesday, at the show Thursday through Saturday and then returning home Saturday evening. I'm there with my team from the Internet Society and one of our primary purposes will be to get a sense of the state of IPv6 support - or NOT - among consumer electronics providers. As large carriers look at how they can roll out IPv6 within their networks, having home equipment that supports IPv6 will become more important in the years ahead. At the show, we will be meeting with some vendors who want to understand more about how to move their products to IPv6 and also talking with media about the launch of our new Deploy360 site to help accelerate the deployment of IPv6 and DNSSEC. We'll also be part of a presentation on Saturday with a representative from Comcast explaining IPv6 issues to a IEEE conference for consumer electronics vendors. And, of course, we'll be walking all over the show floor seeking out vendors who have IPv6 support. We'll see what we find! On a personal note, it will be interesting to go to CES. While I've attended hundreds of shows/conferences over the years, including the even larger CeBIT show over in Germany, I've never made to CES before this year. I've heard a great amount about the madness there, of course, and watched the coverage from afar. So it will be interesting to be on the ground there. You can, of course, expect that I'll be tweeting a good bit both from @danyork and @deploy360 (although a colleague of mine may be doing most of the tweeting from that account). I'm also planning to put up some posts on CircleID related to what I find... and of course the Deploy360 blog. IF YOU ARE OUT AT CES and want to connect, please shoot me an email, call me or ping on Twitter. And Thus Was Born... the Internet Society Deploy360 Programme! How can we accelerate the usage and deployment of IPv6 and DNSSEC? What are the barriers to getting those technologies more widely deployed? How can we "take away the pain" of getting started with IPv6 and DNSSEC? When I joined the staff of the Internet Society back in late September, the project I joined was charged with looking at questions like that and developing a means to promote online resources that would help speed up the usage of IPv6 and DNSSEC. THIS LAUNCH IS JUST THE BEGINNING! The site is certainly incomplete... we wanted to get the site out there and now my task over the months ahead is to fill the site up with answers to questions and pointers to new information. We're not looking to add ALL the information found on the web about IPv6 and DNSSEC, but rather the best information we can find. And where we can't find information that answers specific questions, we'll be creating new materials either directly ourselves or with partners. As an example, I'm working right now on some tutorials about how to add DNSSEC support into Firefox, and how to configure DNSSEC for your domain at a couple of different registrars. To that end, we will be constantly adding new material and resources as we both find and create new content - both in text, video and other forms. and I would definitely encourage you to join us on as many of those channels as you use. We're also actively seeking volunteers to assist us and have been rather humbled and pleased by the great amount of interest and support we've already seen. I'm excited to get this project out there... and am looking forward to the months ahead as we build the momentum to help get both IPv6 and DNSSEC more widely deployed! Please do take a look around the Deploy360 site. I'd love to hear any feedback or suggestions you have. Are there other questions we can be answering? What are the barriers you have found to using these technologies? Are there sites or resources that you found very helpful that we don't have on the site yet? Please do let me know! Drop me an email, fill out our feedback form, ping me on one of the various social media... heck, leave a comment to this blog post! Somehow... I'd love to know what you think. IPv6, DNSSEC, RPKI, etc. : What’s the Holdup and How Can We Help? You’re busy. We get it. This industry moves fast and you’ve got your hands full keeping your networks updated and secure from the threat of the day. But why is it taking so long to deploy IPv6, DNSSEC, and other standards coming out of the IETF? These standards are the future of the Internet, but deployment to date has been slow. He'll be outlining the new ISOC project of which I am a part that aims to help speed up the deployment of these standards - and asking for feedback and help. I will be there along with another team member, Megan Kruse, to talk with folks about the project and interact with people involved with IPv6, DNSSEC and other technologies. It's been a good number of years since I last attended a USENIX conference but I'm very much looking forward to getting back with the crowd. Looks like some excellent technical talks so I'm looking forward to learning a good bit. If you are down at LISA, please do feel free to drop me a note - or find me on Twitter. I expect I'll be tweeting out of the event and probably posting some thoughts and comments. For those of us wanting to see IPv6 deployed, yesterday brought the great news that Comcast has started rolling out its IPv6 production network to customers. Now, granted, the initial rollout was to only 100 homes in San Francisco's East Bay. It is also restricted to a single computer directly connected to a Comcast cable modem. This initial rollout did not support home routers which are typically found for WiFi in many/most homes these days. The experience Comcast gains with this initial rollout will only help them with wider rollouts and the inclusion of home routers. It is also important to note that we are deploying native dual stack, which means a customer gets both IPv6 and IPv4 addresses. That means we are not using tunneling technology or large scale Network Address Translation (NAT). Using a tunnel introduces additional overhead compared to not using one (native IPv6), as your traffic must traverse a relaybefore going to the destination and back. And NAT technologies rely on two layers of NAT, one in your home (in a home gateway device), and one within a the service provider's network that usually shares a single IPv4 address across possibly hundreds of customers or more. Using NAT presents many challenges compared to not using NAT, as your traffic must traverse a NAT device before going to the destination and back. In addition, we believe those two layers of NAT will break a number of applications that are important to our customers. 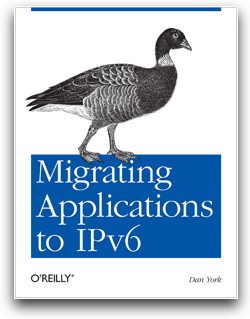 Would you like to learn about how to deploy IPv6? Would you like to hear from people who are already using IPv6 within their networks? Would you like to learn a bit about DNSSEC and how it can help you secure your online presence? We're looking forward to providing a great session for people to ask questions and talk about how to get these technologies actually deployed in networks today. The ION conference is part of the larger 2011 Canadian ISP Summit that takes place on the following two days and is included as part of the registration for the Canadian ISP Summit. However, registration for the ION conference is FREE if you just want to attend the half-day session on Monday. You can sign up through the Canadian ISP Summit registration page, where one of the available options is for the ION ONLY registration. If you do want to register for the full Canadian ISP Summit, which has a great agenda of technical and business talks , we have a discount code of "ISOCDC" which can get your $50 off the registration if used by November 11, 2011. We just had a very successful ION event in Buenos Aires last month and we're looking forward to great conversations and discussions up in Toronto - I hope to see you there! P.S. A couple of people have already asked me if I'm going to be able to spend more time in Toronto (and meet them). Unfortunately due to family medical issues I'm just in Toronto for Monday and will be flying back Tuesday morning. Normally I would have loved to stay for this full event because some of the other sessions look great - and Toronto is also an outstanding place to visit. 44% of SIP Implementations at SIPit 29 Supported IPv6! 44% of the implementations present supported IPv6. Now, of course ideally we'd like that to be 100%, but hey, it's at least a good start! Most UAs that supported dual-stack had a configuration to tell the application to ignore any returned AAAAs due to issues encountered in deployments where endpoints autoconfigured IPV6 that didn't actually work. From this simple sentence it would sound to me like the implementations are NOT supporting a "happy eyeballs" approach for SIP but are rather providing an "ignore IPv6" configuration setting. I wasn't there so I don't know... but I would hope that over time all dual-stack SIP implementations would move to supporting this kind of approach (versus disabling IPv6). We successfully tested calls going though a mix of v4 and v6 hops (accruing Via and Route/Record-Route headers with addresses in both families. Again, you'd love 100%, but at least this shows the availability of SRTP should companies decide to enable SRTP. Lots of other great commentary in the SIPit 29 summary around STUN/TURN/ICE and many other issues. Definitely worth a read if you are interested in SIP. And... if you a creator of SIP-related hardware and software, watch the SIPit website for news of the next SIPit event so that you, too, can join in the testing!